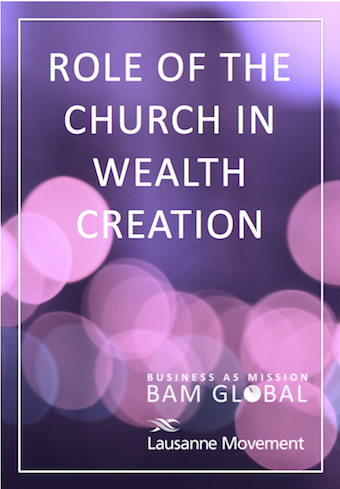 Lausanne, along with BAM Global Think Tank, has published its second article, "Role of the Church in Wealth Creation," that came out of Lausanne Consultation on Wealth Creation for Holistic Transformation in March 2017. Click Wealth Creation and the Poor and Wealth Creation Manifesto to access and read more on these subjects. Exploratory Trip to Cambodia (September 6-9) Jeffrey and Chan Jung Kim, Auditor for SfK Korea, traveled to Phnom Penh, Cambodia to explore the possible expansion into this country. A 2-day seminar was held and also several meetings with potential implementing members for Cambodia. God is good all the time and provides opportunities as needed in His eyes. Transformation Business Network of Asia Conference (September 13-16) Several opportunities have developed out of this conference that drew 500 attendees and 60 exhibitors. Jeffrey met several entrepreneurs who strive to produce transformation in the lives of people they serve. SfK MBA Chiang Mai, the Class of 2017 (September 18-27) This 9-day intensive training produced eight people who received certificates of completion and one who received a certificate of participation. Their passion to learn and practice what they learned was impressive. Teams stayed up as late as 2:30 am for a few days to work on their assignments. Most of them will participate in the SfK Business Plan Contest with their own business plans. May the Lord hold their hands in the next chapter of their life with their missional businesses! BAM Seminar in Udonthani, Thailand (September 28) This 3 hour long discussion, led by Jeffrey Lee and interpreted by Missionary Dr. Jun Hyung Cho, addressed 40+ Thai and Laotian Christian leaders regarding BAM. Many pastors shared their broadened understanding about the power of business as God originally designed. It was encouraging to witness the change in their perception about business and BAM. Exploratory Trip to Laos (September 29) Jeffrey traveled to Vientiane, Laos along with Missionary Dr. Jun Hyung Cho to meet the leadership team of Laos Evangelical Church (LEC). LEC is the predominant body of believers in Laos that is experiencing a tremendous growth in Christians all over the nation according to its president. Laos remains a nation closed to the gospel and external missionaries. We agreed to work together and begin with a BAM seminar in January/February 2018. SfK Life, the US member of SfK Network, has approved a term loan to an organic chicken farming business in Thailand. This chicken farming business will be led by a local church and a Thai corporation that has launched 14 cafes in Thailand particularly to help Thai migrant workers settle down economically in Thailand. Please pray that all the process will go smoothly. Jeffrey also held a couple of strategic meetings over the past month, the details of which cannot be disclosed prematurely at this time. Please pray that these efforts will bear fruits that will be pleasing to the Lord. Oct. 2017 WEC BAM Conference (Chiang Mai): Jeffrey is scheduled to hold a meeting with WEK's global leadership team on October 13 to explore the possibility of collaboration. Please pray that the conference will empower many BAMers to develop their full potentials. Oct. 26,-27, 2017 Lion's Den (Birmingham, Alabama): This program screens many business plans with a missional purpose to select a few winners through a rigorous process. The winners will have survived the "Lion's Den", like Daniel. Please pray that this event will challenge many business people to work towards excellence. Oct. 30-Nov. 10, 2017 SfK MBA Kigali II 2017 (Kigali): This is the second MBA held in Kigali, the first being held in April earlier this year. This MBA will equip select people from Kigali Diocese of Rwanda Anglican Church so that they will in turn train Rwandan entrepreneurs in Kinyarwanda, Rwanda's local language. Please pray that the participants will be trained thoroughly to be trainers of others. Nov. and Dec. 2017 Trip to the select cities in the U.S.: Jeffrey and Kristin will be traveling to the U.S. and visit several cities, including Los Angeles, Denver, New York, Philadelphia and Atlanta. Their primary purpose of the trip will be attending small gatherings to raise financial resources necessary for SfK Ministries. Please pray that the Lord will prepare many willing and able people of God to respond to the needs of SfK Ministries. Our official Launch of SfK Shared Accounting Service is scheduled for January 2018. Meanwhile, Skybay Thailand will be placed on this service for beta testing and debugging. Kingdom Fellows with skills and knowledge in accounting are called to serve as remote accountants. Responsibilities include 4-5 hours a month to help missional businesses receive monthly financial statements for more effective management and to be better prepared for any external financial investments. Please consider joining us in sharing your accounting knowledge and skills in empowering missional businesses without having to travel overseas. Also, please pray that sufficient people will respond to this call for help. Currently, an important alliance is being formed. Upon completion, this alliance would boost the scope and capacity of SfK Ministries significantly. Please pray that our efforts will progress in step with the Holy Spirit according to the grace of God. Financial Support Needed - In order for SfK Ministries to continue providing the services of equipping and empowering missional businesses in Asia and Africa, we need financial resources. We have yet to meet our budget for 2017 and we need your support. Please consider prayerfully giving your year-end donation to SfK Ministries.SfK Ministries is a 501(c) (3) organization and your donation is full deductible for the federal tax purposes. We pray that the Lord will bless you richly so that you may be a great blessing to others around you!